Under the Oak Tree: Birds of all shapes, sizes and colors! 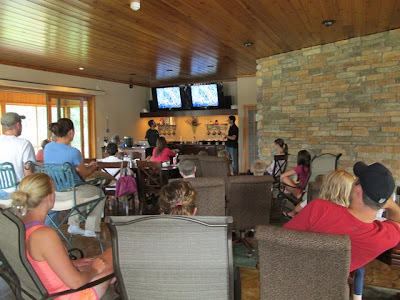 Yesterday Aaron and Graham presented their bird, amphibian and reptile survey findings. Aaron and Graham presenting to the Farm family and crew. 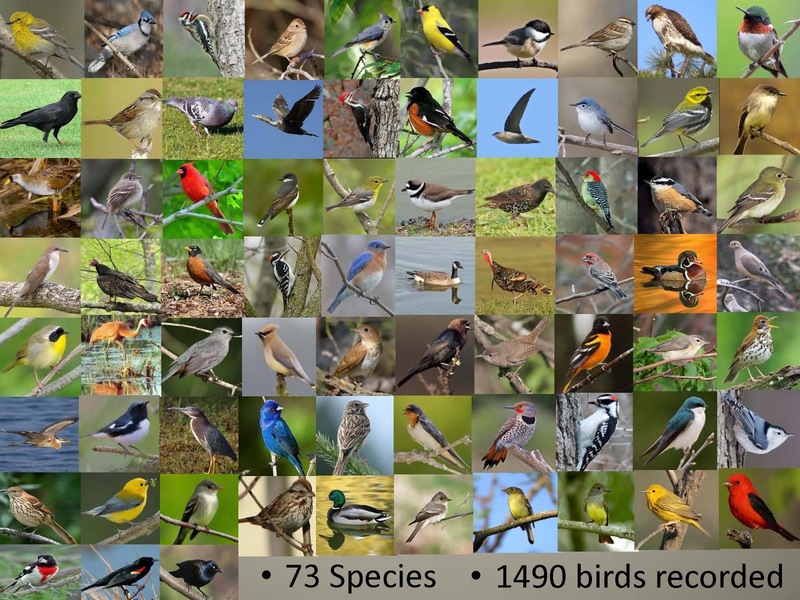 Throughout their two months of surveying, they spotted 73 different species of birds (including the yellow-bellied sapsucker that was posted on our Facebook page)! 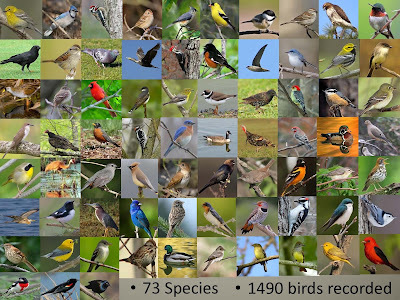 A photo collage of all the birds spotted on the Farm - click here to see a labeled collage. We have six distinct types of habitat here (mature forests, ag fields, ponds, grasslands, tree plantations and marshland), so it was interesting to learn about the species that were attracted to each area of the Farm. Our plantation areas, or stands with relatively young trees, seem to be most attractive to birds - and also offered Aaron and Graham the best opportunity to view a wide variety of birds. They're working on a more in-depth report and management suggestions; we'll share a copy of it here once it's ready to go!